Leave your mala overnight in the direct moonlight, at the peak of the Full Moon. Let your mala bathe in the morning sunlight for about 30 minutes. Place your mala beads under warm running water and then leave them to dry. After they have dried, polish them with your favorite essential oil. 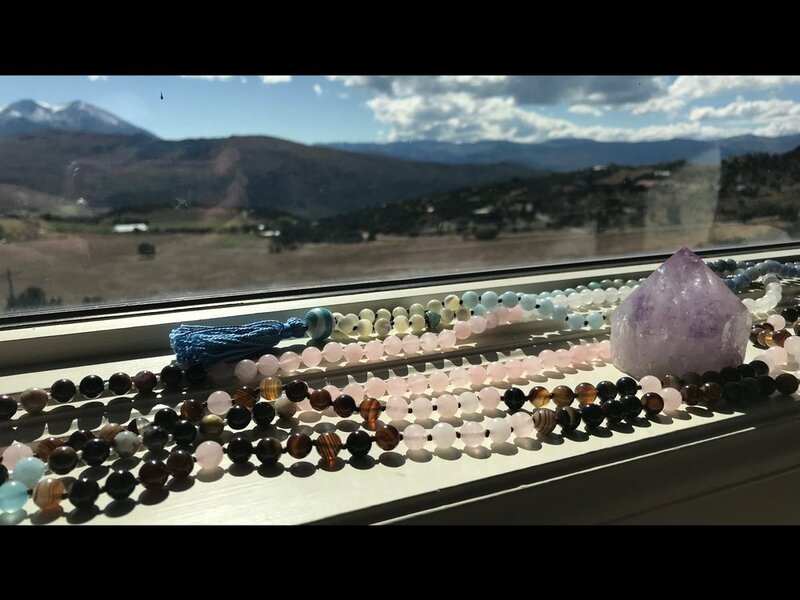 After cleansing your mala, hold your mala to your heart, allow the stones to be infused with your energy, and set an intention (Sankalpa) for your mala. **REMEMBER** Your mala is a sacred, energetic tool filled with healing vibrations. Love it and it will return that love 100 times over.